Buying a hybrid is a big step for many drivers, especially those looking to save money at the pump. While fuel economy may be the main factor, there’s more to a hybrid than mileage. 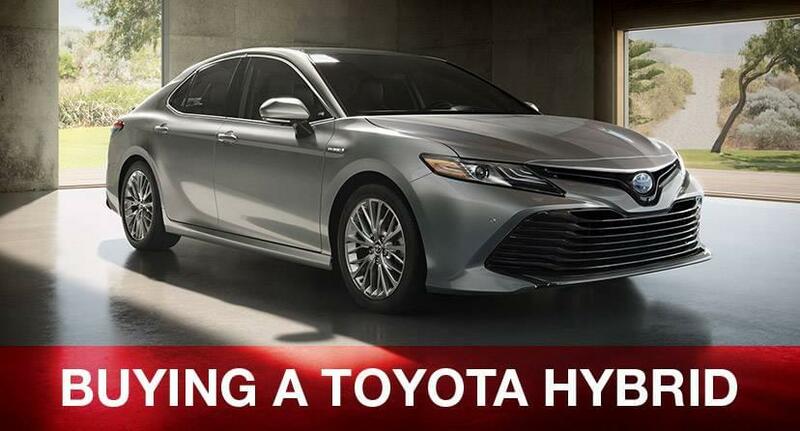 Read up on what to think about when buying a hybrid then head over to the wonderful selection of efficient vehicles at Lancaster Toyota! While it has long been clear that hybrids offer exceptional fuel economy in the city, the same rings true for highway driving as well. Many hybrids can run on electricity when driving at low speeds in the city. Many hybrids offer excellent fuel economy at high speeds as well. Engines paired with electric motors don’t require nearly as much gas as conventional cars, making long trips much more viable on a single tank. There are millions of Prius models on the road, but there are more hybrid vehicles available in the Japanese brand’s lineup. The Camry Hybrid is a prime example. In fact, many models on Toyota’s lineup have hybrid variants, including the RAV4 crossover, Highlander SUV, and Avalon full-size sedan! There are plenty of hybrid vehicles available in a variety of different styles. While price will play a main factor, such a wide selection ensures there’s a hybrid vehicle for every budget. Despite carrying a reputation for being slow, many hybrids are quite powerful. Keep in mind that the first automobiles look like snails compared to modern vehicles. The hybrid segment is still young and innovation continues to produce more powerful hybrids year after year. The Toyota Camry Hybrid’s engine and electric motor combine for an impressive 200 hp. The RAV4 hybrid boasts a total output of 194 hp. Don’t judge a car by its segment! Get behind the wheel to see what kind of power and fuel economy it has in store for you.